Garden Maintenance in Stevenage, SG1 3EX. Covering Stevenage, St Albans, Harpenden, Letchworth, Ware, Welwyn, Hatfield, Stotfold, Baldock and Hertford. 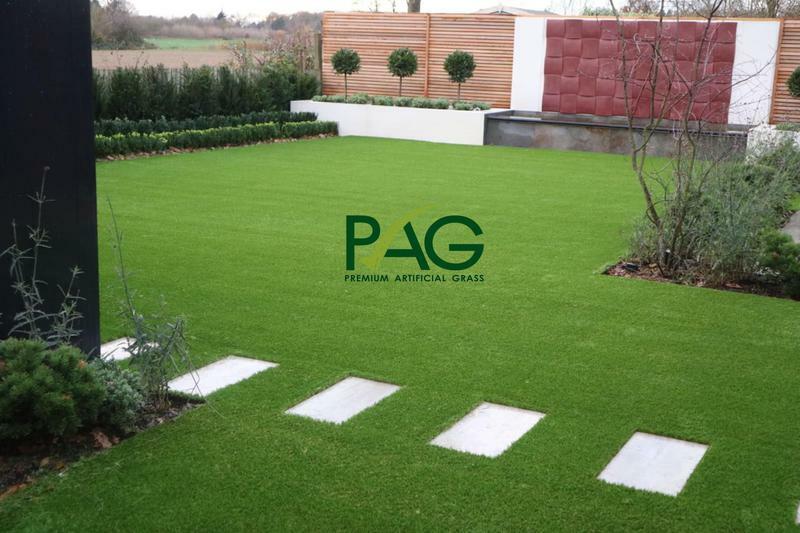 Premium Artificial Grass Limited are a local family business (not a franchise) with a wealth of knowledge in artificial grass and the correct installation methods. Based in Stevenage, Hertfordshire and cover Stevenage, St Albans, Harpenden, Letchworth, Ware, Welwyn, Hatfield, Stotfold, Baldock and Hertford. We focus on design, supply only or supply and installation of artificial lawns to domestic, commercial & trade customers. We offer all our customers competitive prices and quality products. We provide a professional service to create realistic looking gardens. We are happy to visit any location to supply a quotation. We only use top of the range products that are safe, UV protected and have a lifetime expectancy up to 20 years. Modern synthetic lawns are increasingly common, with natural looks and environmentally friendly. It is virtually maintenance free and you can use it all year round. 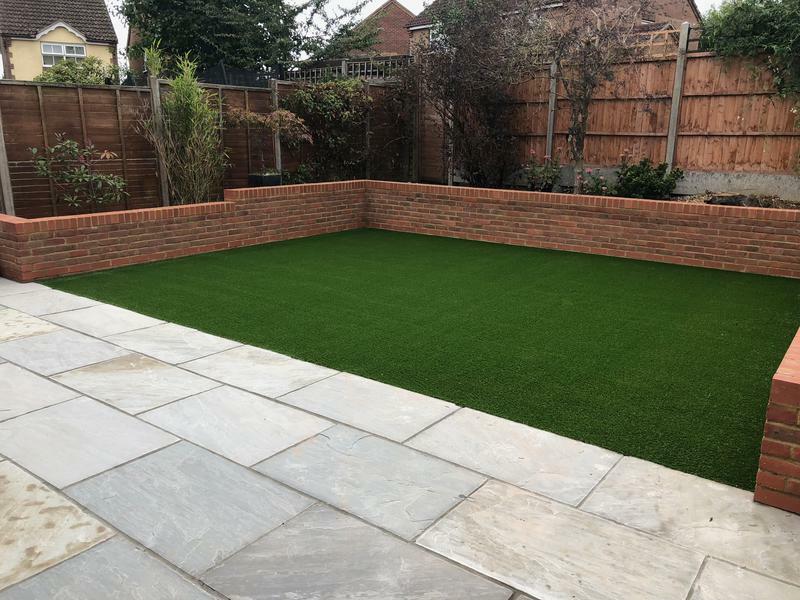 'Artificial Grass', 'Synthetic Grass', 'Plastic Grass' or 'Fake Grass' as it is often called is a low maintenance solution for your garden that looks amazing 365 days of the year. It does however require minimal maintenance and cleaning to ensure you get the full benefits from your Artificial Grass. All artificial grass requires some maintenance; our Premium range is extremely low maintenance but there is no such thing as NO maintenance! The four seasons bring all types of varying weather, in autumn, leaves will blow on to the grass which can create perfect conditions for moss to grow so removal of these intruders is important. Image 2 - Artificial Lawn Installation in Stevenage, Hertfordshire. 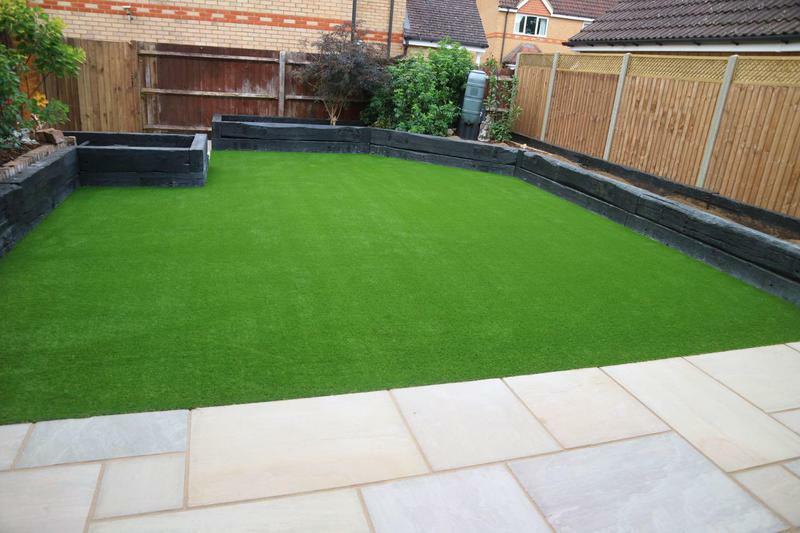 Video 6 - Artificial Grass and Landscaping Project in Stevenage, Hertfordshire. 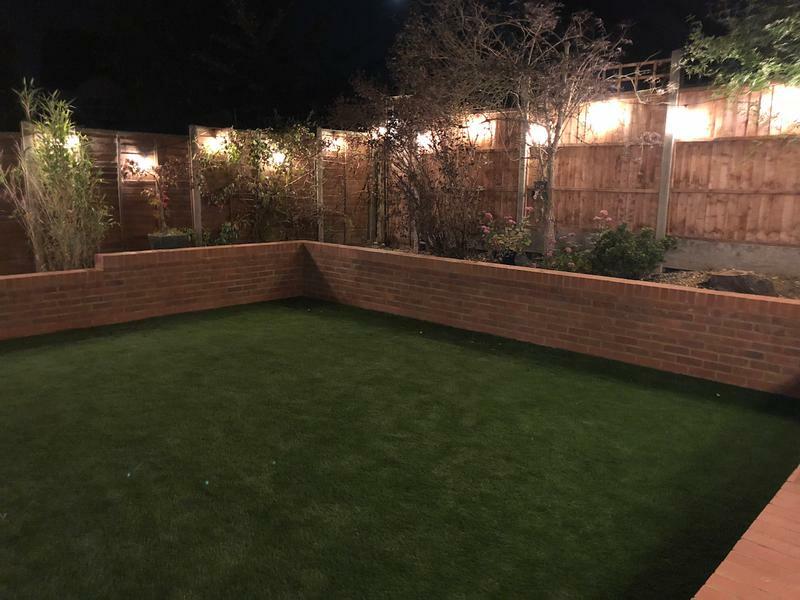 "From first contact all the way through to the final piece of grass being laid it has been a pleasure to have Justin and the guys working on our garden project. PAG went to great lengths to ensure we understood the options and took us through the entire process so we had a clear understanding of what to expect. 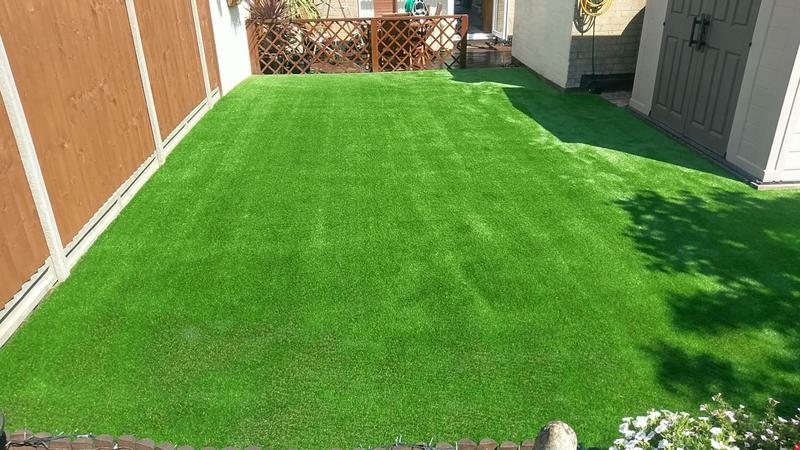 The selection of artificial grass is fantastic and standard of the workmanship is second to none. The team are very considerate in how they go about their work and ensure everything is left neat and tidy at the end of each day. We would strongly recommend Justin and the team at PAG." "Justin and his team, did a great job from start to finish, and was very accommodating when I decided to get a new fence, and even recommended a great fencer. I would not hesitate to recommend PAG to anybody, it’s worth paying a bit more, to get the best, don't go for the cheapest, as it would not be done to their standard, and probably would not last, and I bet if you did go for a cheaper company, in a few years’ time, I bet you would get Justin to put it right"
"Work carried out was amazing, prompt and professional. Looks amazing, would highly recommend to anyone !" "Justin and his team were excellent. Justin came round on time and his team were very professional and carried out an exceptional job. The garden had been more like a mud bath with a touch of grass here and there. It really was a great transformation, more like a garden at the Chelsea flower show. 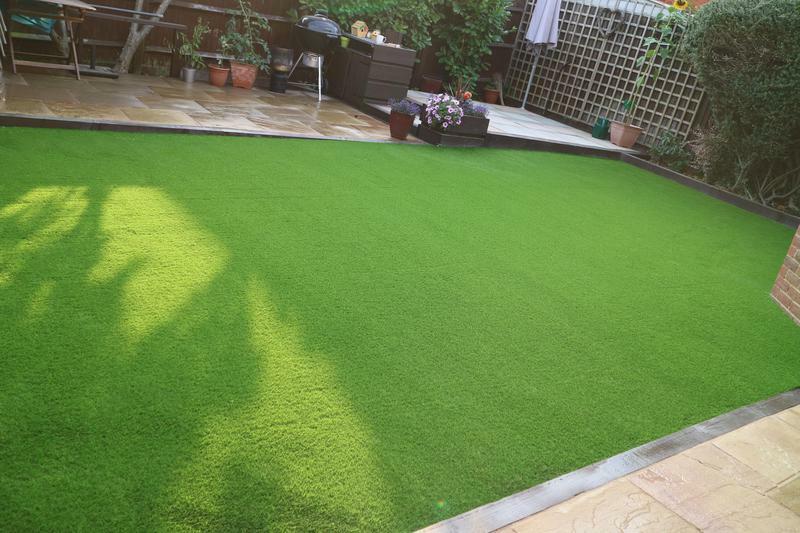 We would highly recommend Premium Artificial Grass. Im really glad we chose them. Thank you so much."